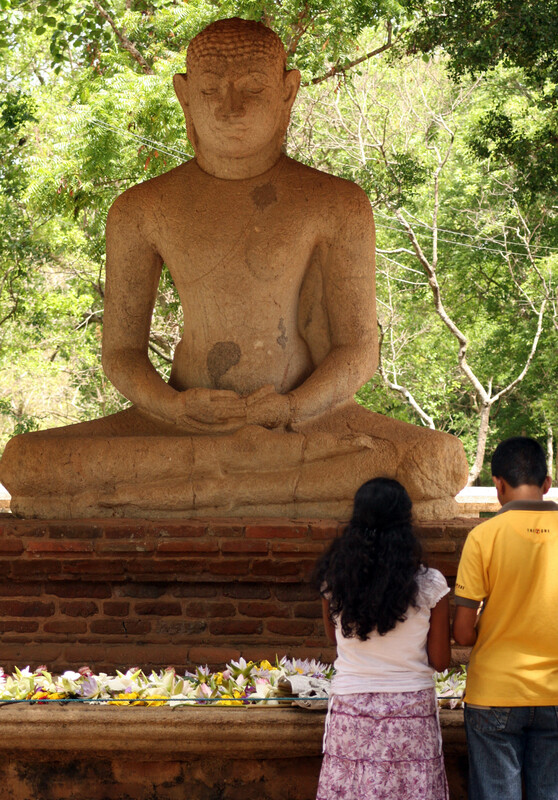 For over 1000 years, beginning in 380 BC, Anuradhapura was the capital of Sri Lanka. During the reign of Dvanampiya Tissa (r. 247-207BC), Buddhism reached Sri Lanka from India and the Sinhalese kings embraced this new religion. Great building work began in the capital and it quickly became an important centre for monasteries. Several times the city was captured by South Indian invaders, but it was won back by the Sinhalese, most notably by King Dutugemunu (r, 161-137 BC), who had many impressive monuments built. The city continued to grow under the kings who followed, including Valagamba (r 109-103 BC) and Mahasena (r. AD 276-303). Artificial lakes (tanks) and complex irrigation systems were constructed to provide water for crops and supply water to the growing population. There were also parks, pleasure gardens and numerous large dagobas – large mound-like buildings which store Buddhist relics and are used as a place of worship. 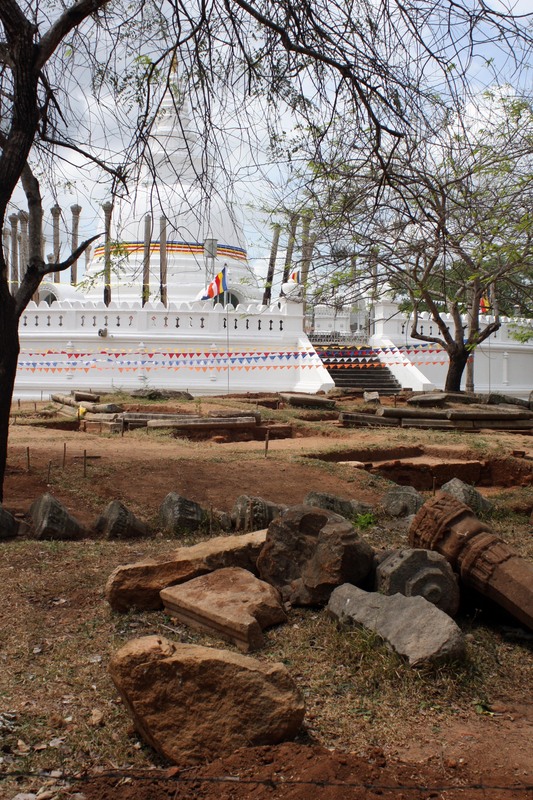 By the end of the 10th century AD, Anuradhapura could no longer defend itself from invasions by the Cholas of south India, and it was eventually abandoned and the capital moved to Polonnaruwa. 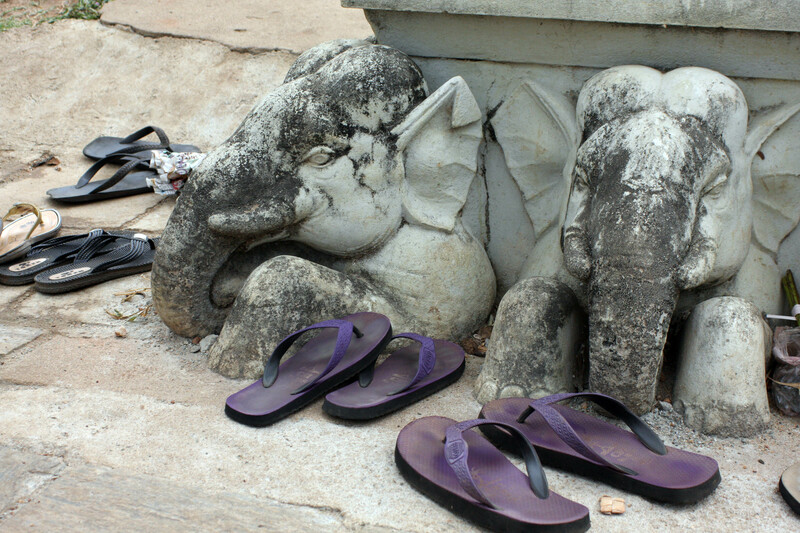 Many ruins of the ancient city still survive today and Buddhists consider it to be a sacred place. 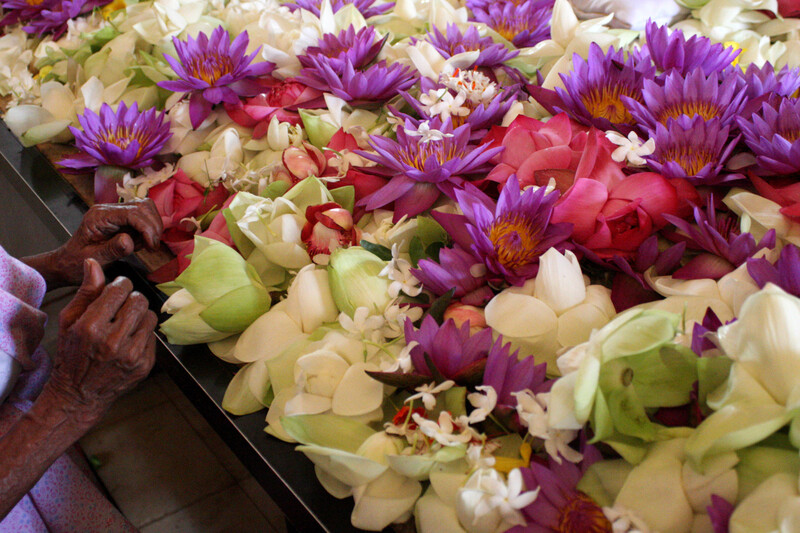 Pilgrims come from all over Sri Lanka to worship here, particularly on poya (full moon) days. 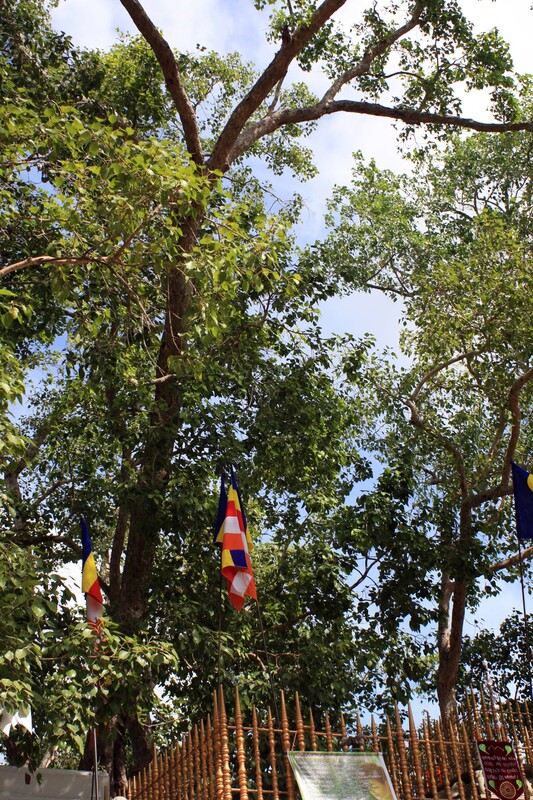 In the centre of the city there are several sacred bodhi trees, known asSri Maha Bodhi. The trees all originate from a cutting brought from the bodhi tree in Bodhgaya, in India, under which the Buddha attained enlightenment. The cutting was brought here 2500 years ago by Princess Sangamitta, who founded an order of nuns, or bhikkinu. The order was destroyed about 1000 years ago but since 1997 they have been trying to make a come-back, with bhikkinus being ordained again for the first time. They face stiff opposition from the influential majority of high priests and male monks, in a country where, unfortunately, women still have a long way to go to gain equal rights and opportunities. I enjoyed touring around Anuradhapura on a rented bicycle, although on balance I preferred Polonnaruwa. Not being religious, many of the dagobas struck me as fairly uninteresting white blobs at first, but I began to feel more attracted to them, the longer I stayed. 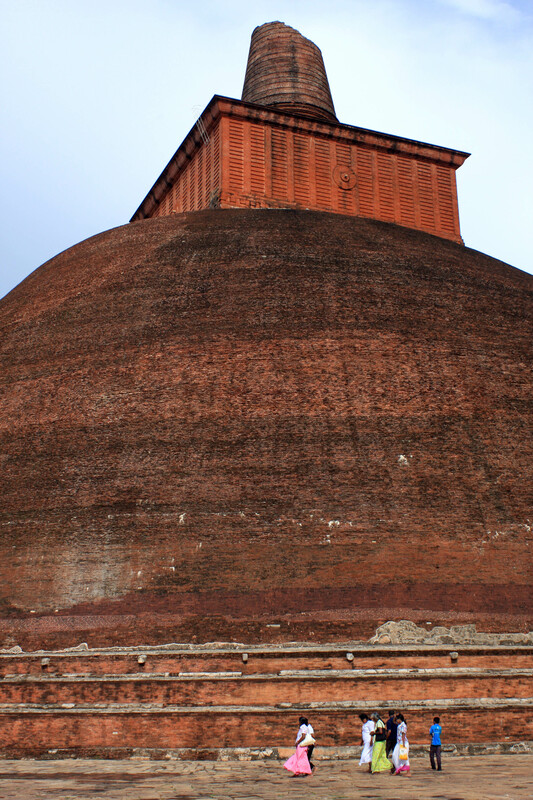 TheJetavanarama Dagoba, an enormous structure made from red bricks, is particularly impressive. I happened to be in the city around Poson, the important full moon day in June, and the place was packed with devotees, many dressed in white. The city was big enough to accommodate everyone and there was a festive atmosphere, with families picnicking among the ruins, and thousands of flowers offered at altars around the sacred sites. 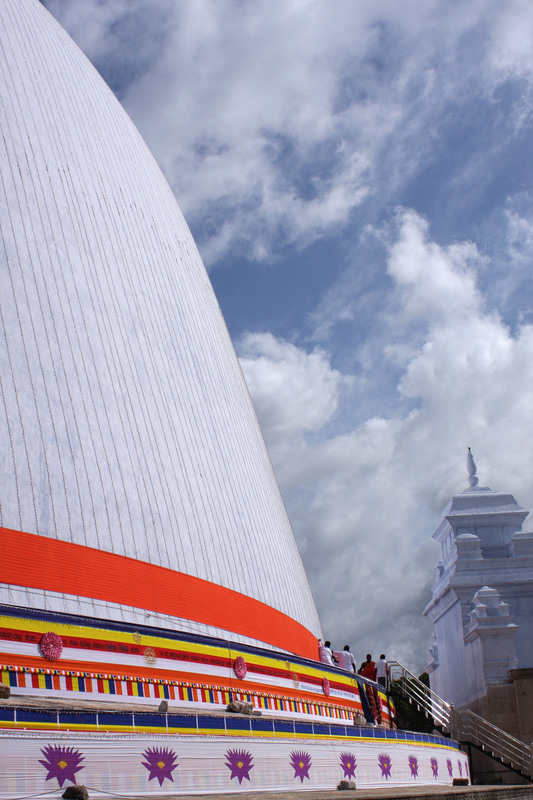 The area around the Sri Maha Bodhi was particularly vibrant. Many people swim in Tissa Wewa and in the rivers that run through the ancient city. There’s a particularly good, shady spot near the Jetavanarama Dagoba. It is surprising how rural it still is near the ruins. There are paddy fields, muddy tracks and people selling incredibly cheap pineapples and mangoes. If you’re on a strict budget and don’t want to buy the Cultural Triangle round ticket (which is a pricey $55) I’d suggest you don’t need a ticket to come here. It’s only checked at the Archaeological Museum, the Abhayagiri Museum and, supposedly, the Samadhi Buddha, but no one asked me for my ticket at the latter. 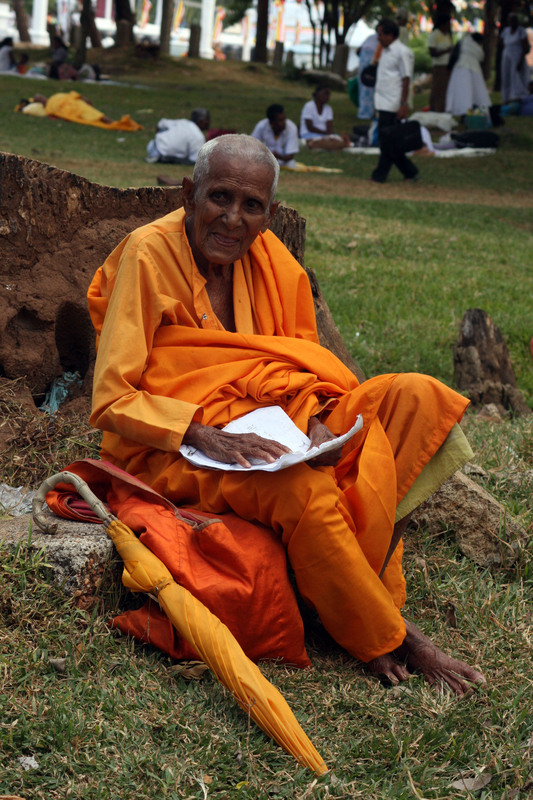 You must pay separately to enter the Sri Maha Bodhi and the Isurumuniya Vihara anyway, even if you have a round ticket. The Sri Maha Bodhi – for the atmosphere and the cheeky toque macaque monkeys which inhabit the area. Isurumuniya Vihara rock temple – beautiful carvings and good views over Tissa Wewa. Samadhi Buddha – an amazingly calm aura surrounds this statue. 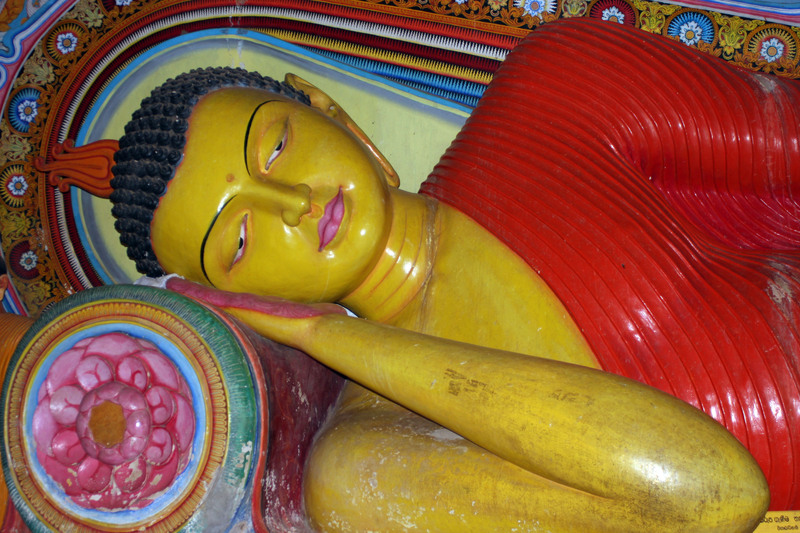 It is probably the finest carved Buddhist statue in Sri Lanka. 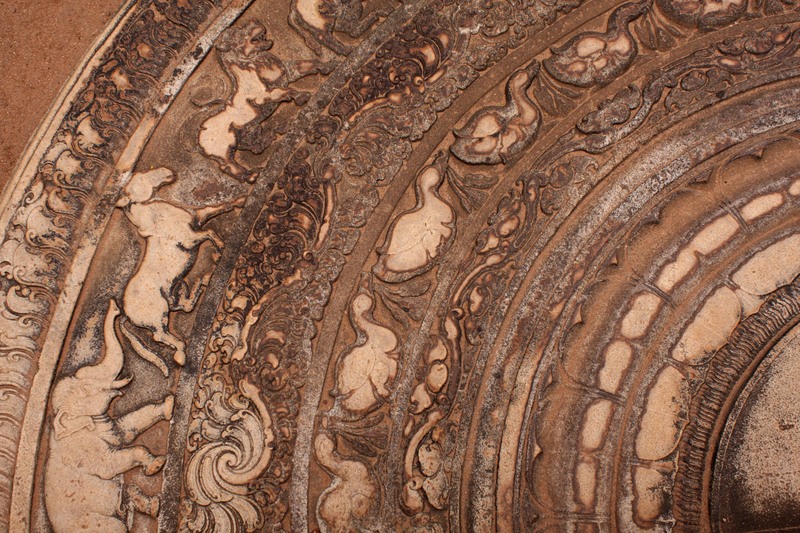 The moonstone at Mahasena’s Palace – more excellent carving. Jetavanarama Dagoba– the best of all the dagobas, in my opinion.